1- His grandfather was a British militia captain in a colony of Virginia. 2- He wiped out British colonization though his grandfather was brought by it. 3- He was mainly defending economical interests. 4- He attacked civilians who were loyal to the monarchy. 5- He received support from France which was an imperialist power also, taking advantage of the political conflict between France and Great Britain. 6- He used the guerrilla technique. 7- He was popular among the revolutionaries. 8- He fought residents whom he called anti revolutionaries. 1- Any Hamas or Hizbollah member’s ancestors belong to the region hundreds or maybe thousands years ago. 2- They are fighting Israeli occupation which expelled their grandfathers from their own lands. 3- They are defending their mere existence. 4- They attack militants or settlers who occupy their lands. 5- They receive support from countries that share with them culture and history and not imperialists by any means. 6- They use the guerrilla technique. 7- They are popular among their people: Hamas was elected; Hizbollah has the full support of the majority. 8- They negotiate with the minority who are anti resistance. 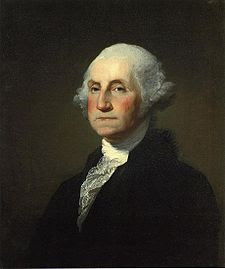 a- George Washington is a hero. b- Hamas and Hizbollah are terrorist groups. Is there any need for the revival of Aristotle here? This entry was posted in WAW on January 27, 2009 by harbic.